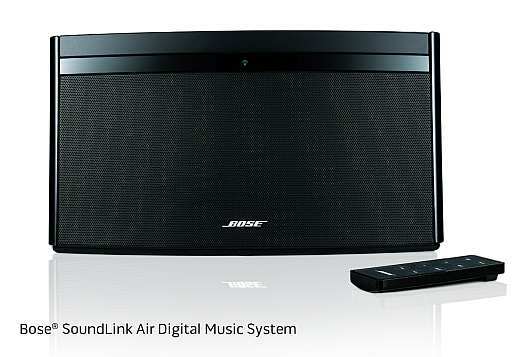 Bose has launched its first Air Play enabled product, the SoundLink Air Digital Music System. It is a one-piece wireless speaker system that streams audio from an iPad, iPhone, iPod touch or a computer’s iTunes library via Apple’s AirPlay technology. 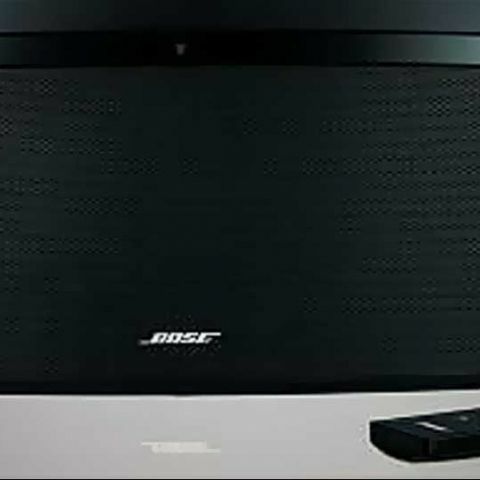 The SoundLink Air Digital Music System incorporates proprietary Bose acoustic waveguide speaker technology, neodymium transducers, and Bose digital signal processing to deliver detailed, room-filling sound across the entire frequency range and at any listening level. The device also has AUX-in inputs allowing you to connect various other non AirPlay sources to the music system for media playback. There is an additional optional rechargeable lithium-ion battery that can make the music system portable. The SoundLink Air comes in high-gloss black with a metal grille for Rs. 22,388/- . The optional rechargeable lithium-ion battery is sold separately, and will cost Rs. 6,638/-.